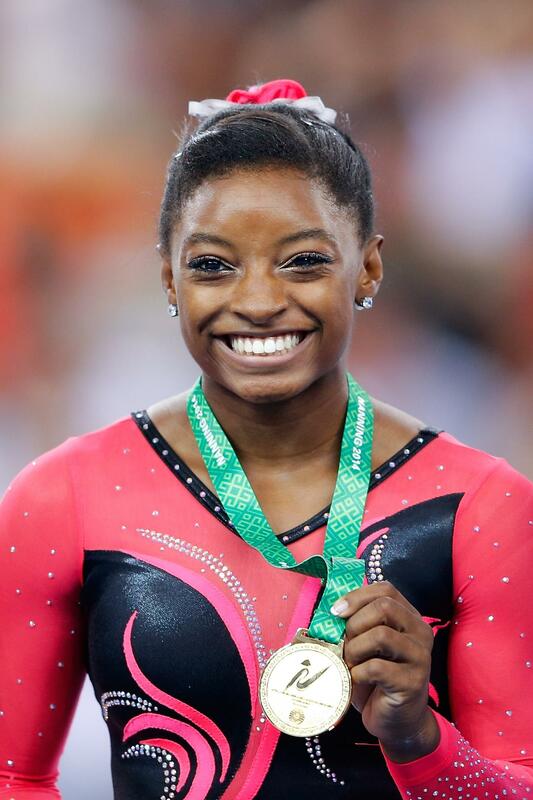 Simone Biles' Celebrity Crush Is Now Her Biggest Fan, Can You Guess Who? Simone just keeps on winning. Real life #CrushGoals are coming true for olympic gymnast Simone Biles—the most decorated gymnast in the world can’t get enough of Zac Efron, just like the rest of us. Back in 2013, the gold medalist began to document her love for actor Zac Efron on Twitter. She took her crush on the Neighbors star to new levels when she was gifted a life-size cut out of the star for Christmas, which she also shared on Twitter. Years later her crush game was still going strong as she admitted to Ellen DeGeneres that Zac was bae. The talk show host wanted to help the 19-year-old get the heartthrobs attention by giving her a leotard with Zac’s face all over it. The Ellen Show definitely help get Simone on the High School Musical stars’ radar, because in July he sent her a tweet wishing her good luck in Rio. And of course, the fan girl came out and she shed some tears! Since their first correspondence on Twitter, Zac has been keeping up with the gymnast and her prowess on the floor has turned him into a big fan. Can you imagine how it will be if these two finally meet in person? Childhood dreams can come true!